Great Smoky Mountains National Park officials announced the temporary closure of the Cades Cove Loop Road for 6 days in January to complete hazard tree removal. The road will be closed to all pedestrians, bicyclists, and motorists January 6th through January 8th, and January 13th through January 15th. In addition to the Cades Cove Loop Road, hazard trees will be removed from the Cades Cove Campground. The campground will remain open during the closure, but campers may be relocated during the work period. Tennessee State Parks has announced that it will sponsor free, guided hikes on New Year’s Day. Each state park will host its own special hike in the first few days of the New Year. The First Hikes begin at 10 p.m. on Dec. 31 at Radnor Lake State Park. Henry Horton, Harrison Bay, Tims Ford, Norris Dam and Pickett state parks will host midnight hikes. The First Hikes will continue throughout New Year’s Day with morning, afternoon and evening hikes. From Reelfoot to Henry Horton to Roan Mountain and every state park in between, the 2015 First Hikes are designed for all ages and abilities. Some hikes will be approximately one mile in length and tailored for novice hikers, while others are lengthier and geared toward more experienced hikers. For a more in-depth look into planned First Hikes in your area, please click here. Tennessee State Parks’ First Hikes of 2015 are part of America’s State Parks First Day Hikes initiative in all 50 states. The U.S. Forest Service and a spectrum of partners collaborated to help restore close to 6,000 acres in the Grandfather Ranger District, Pisgah National Forest, through the Grandfather Restoration Project over the past year. The Grandfather Restoration Project is a 10-year effort that increases prescribed burning and other management practices on 40,000 acres of the Grandfather Ranger District. 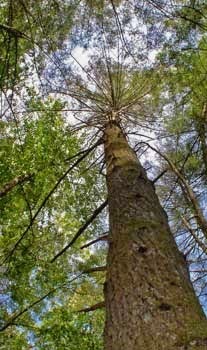 The project is restoring the fire-adapted forest ecosystems, benefiting a variety of native plants and wildlife, increasing stream health, controlling non-native species and protecting hemlocks against hemlock woolly adelgids. The project is one of 10 projects announced by Agriculture Secretary Tom Vilsack in February 2012, under the Collaborative Forest Landscape Restoration program. In fiscal year 2014, the Grandfather Restoration Project established forest vegetation on 44 acres, improved forest vegetation on 339 acres, restored or enhanced 5,345 acres of terrestrial habitat and 2.5 miles of stream habitat. The Project also treated for invasive species on 135 acres, restored watershed health on two acres, maintained or improved 50 miles of trails, and reduced hazardous fuels on 3,439 acres. * The N.C. Wildlife Resources Commission improved early successional habitat (young forests) by mowing 648 acres, treating 44 acres of invasive species, conducting 13 different surveys for land and water species, stocking 3,000 brown trout , clearing 1.5 miles of fire break, performing prescribed burning on adjacent lands, and collecting data on black bears. * The Wilderness Society provided 672 hours studying the fire ecology of the Linville Gorge Wilderness, 20 hours on shortleaf pine restoration planning, and 651 hours on a variety of trail work. * The N.C. Forest Service assisted with prescribed burns on the Grandfather Ranger District and conducted burns on adjacent private lands. * Western North Carolina Alliance provided 39 hours for shortleaf pine restoration project development, 48 hours in vegetation monitoring and 50 hours in invasive species monitoring. * The Nature Conservancy spent 26 hours assisting with prescribed burns, 40 hours on public outreach, and 97 hours on project development for shortleaf pine restoration. * Wild South volunteers spent 600 hours removing, by hand, non-native species in the Linville Gorge Wilderness. * N.C. Department of Transportation provided funding for bridge replacement at Catawba Falls recreation area. A critical component of the Grandfather Restoration Project is monitoring the effectiveness of restoration management practices. Partners monitor all aspects of the project, from prescribed burning to invasive species treatment effectiveness. Monitoring efforts following prescribed burns show a 90 percent reduction in evergreen shrub cover (hazardous fuels), as well as an increase in wildlife use and diversity. Invasive species monitoring shows 70 percent average effectiveness in killing target plant species during initial treatments. Additional partners involved in the project include: Foothills Conservancy, Southern Blue Ridge Fire Learning Network, North Carolina Department of Natural Resources, Land of Sky Regional Council, National Wild Turkey Federation, Southern Research Station, National Park Service, Appalachian Designs, Western Carolina University, Trout Unlimited, Fish and Wildlife Service, Friends of Wilson Creek, Forest Stewards, Quality Deer Management Association, and the Grandfather Mountain Stewardship Foundation. A North Carolina tradition continues on New Year’s Day with opportunities to exercise and reconnect with nature on First Day Hikes at every state park and recreation area, according to the N.C. Division of Parks and Recreation. In the past three years, hikers in North Carolina have joined rangers and volunteers to walk more than 10,000 miles on state park trails Jan. 1. There will be more than 40 scheduled hikes ranging from short “leg-stretchers” to six-mile treks, many of them offering interpretive programs along the way. All seasonal state park facilities will remain open on the holiday. Each state park and state recreation area puts its own stamp on its First Day Hike. At Haw River State Park in Guilford County, hikers will preview a new 3.2-mile trail that will open for general use in coming months. Crowders Mountain State Park will make use of a six-mile trail that links park lands in North Carolina and South Carolina. Hikers often see fresh snow at Elk Knob and Mount Mitchell state parks, while Pettigrew State Park is a seasonal home to flocks of wintering waterfowl. And, the Eno River Association will offer long and short hikes as part of a decades-old tradition at Eno River State Park. Great Smoky Mountains National Park officials have announced that work has begun through the Tennessee Stream Mitigation Program to restore the lower 5,000 feet of Chilogate Creek near the Foothills Parkway and the confluence with Chilhowee Lake. The restoration work will return the stream to its original meandering path which will both enhance riparian wetland habitat as well as reducing the risk of undercutting by the current stream alignment along Happy Valley Road and the Ft. Loudon Utility lines. The project will restore the original stream meander in the lower reaches and repair damaged streambanks on the upper reaches. Wetland communities, rare in the park, will be enhanced through this project providing improved habitat for a variety of species as well as improving water quality. The area includes critical wetland habitat for a state listed plant, Tennessee pondweed (Potamogeton tennesseensis), which is found near Chilogate Creek's confluence with Chilowee Lake. The work will also include removing the invasive, non-native Brazilian water milfoil. The restoration project should be completed by April 2015. For more information about park wetlands, click here. 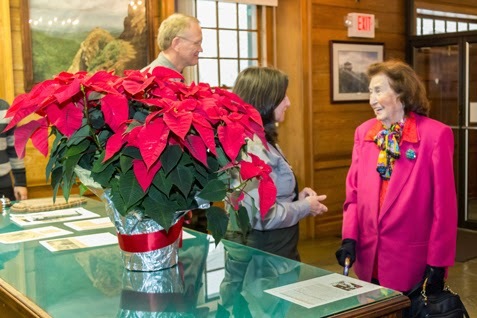 Great Smoky Mountains National Park will host a Holiday Homecoming at the Oconaluftee Visitor Center on Saturday, December 20, 2014. 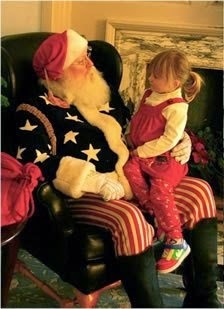 The visitor center will be decorated for the holiday season including an exhibit on Christmas in the mountains. Park staff and volunteers will provide hands-on traditional crafts and activities from 10:00 a.m. to 12:00 p.m.
Children and adults will have the opportunity to learn about and experience some of the traditions surrounding an Appalachian Christmas. Hot apple cider and cookies will be served on the porch with a fire in the fireplace. From 1:00 p.m. to 3:00 p.m., the park will host the monthly acoustic old time jam session. The Oconaluftee Visitor Center is located on Newfound Gap Road (U.S. Highway 441), two miles north of Cherokee, N.C. For more information, call the visitor center at (828) 497-1904. All activities are free and open to the public. Generous support of this event is provided by the Great Smoky Mountains Association. Ideas to be gathered from partners, stakeholders and the public will be a major component of a master planning process underway to guide completion of the Mountains-to-Sea State Trail, according to the N.C. Division of Parks and Recreation. The 1,000-mile trail corridor will ultimately link Clingman’s Dome in the Great Smoky Mountains to Jockey’s Ridge State Park on the coast. Nearly two thirds of the cross-state route has been completed as a continuous, off-road trail experience, offering opportunities for hiking, biking and horseback riding through some of North Carolina’s most scenic landscapes. Where the trail has not yet been completed, detours along secondary roads allow ambitious hikers to complete the trek. A completed master plan will chart a path toward official designation of remaining portions by setting priorities for completing trail sub-sections. It will also unify regional planning efforts, identify potential new partners and funding strategies, and establish guidelines for signs and publicity. The state parks system has hired Planning Communities, LLC to prepare a detailed master plan by late 2015 at a contract price of $120,000 supported through the N.C. Parks and Recreation Trust Fund. A Planning Communities Website linked from www.ncparks.gov offers a route to get involved in the planning effort, with updates on planned regional stakeholder meetings to be held in early 2015 and a survey to gather planning resources. A unit of the state parks system, the Mountains-to-Sea State Trail is envisioned as the backbone of a network of regional hiking, paddling and multi-use trails across the state, which could be easily connected to local trail and greenway efforts. Eventually, the trail will link 33 of North Carolina’s 100 counties and offer local access to 40 percent of the state’s population. 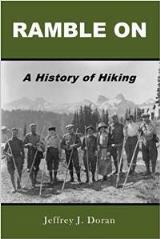 The state parks system, other state agencies, federal agencies, local governments and volunteers organized by Friends of the Mountains-to-Sea Trail have built sections of the trail, representing a partnership that includes hundreds of citizens and every level of government. For more information on the MST in the Great Smoky Mountains, please click here. Great Smoky Mountains National Park officials announced that the next full-scale, Trails Forever restoration will begin on Alum Cave Trail in 2015. The Trails Forever crew will focus restoration efforts on several targeted locations along the 5-mile trail to improve visitor safety and stabilize eroding trail sections. The restoration work will require temporary trail closures throughout the 2-year process. Alum Cave Trail is one of the most popular trails in the park, leading hikers to iconic areas including Arch Rock, Inspiration Point, Alum Cave Bluffs, Mt. Le Conte, and LeConte Lodge. Park rangers respond to numerous accidents along the trail each year, especially along the upper, narrow corridors. The planned work will improve overall trail safety and protect natural resources by repairing historic cable and handrail systems, reinforcing hanging trail sections, reducing trail braiding, and improving drainage to prevent further erosion. There are also several narrow areas where erosion and small landslides have damaged significant sections of the trail, making it difficult to safely travel through the areas during inclement weather or to pass hikers coming from the opposite direction. By restoring these fragile trail sections, the park can best ensure long-term sustainability and protect trailside natural communities from degradation. Alum Cave Trail and associated parking areas will be closed May 4 through November 19 in 2015, excluding federal holidays, on Monday mornings at 7:00 a.m. through Thursday evenings at 5:30 p.m. weekly. Due to the construction process on the narrow trail, a full closure is necessary for the safety of both the crew and visitors. Hikers can still reach Mt. Le Conte, LeConte Lodge, and the Le Conte Shelter by using one of the other five trails to the summit. The Mt. LeConte Lodge and Mt. Le Conte backcountry shelter will remain open and can be accessed from any of these other routes during the Alum Cave Trail closure. The Boulevard, Bull Head, Rainbow Falls, Trillium Gap, and Brushy Mountain trails all lead to Mt. Le Conte, but trailhead parking is limited. Carpooling is encouraged. Day hikers should also consider enjoying other trails offering stunning views such as Chimney Tops Trail, Forney Ridge Trail to Andrews Bald, or the Appalachian Trail from Newfound Gap to Charlies Bunion. Trails Forever is a partnership program between Great Smoky Mountains National Park and the Friends of the Smokies. The Friends have donated $500,000 to support the program, in part through the generosity of the Knoxville based Aslan Foundation. The Trails Forever program provides the opportunity for a highly skilled trail crew to focus reconstruction efforts on high use and high priority trails in the park including the recently restored Forney Ridge Trail and Chimney Tops Trail which opens December 12. The program also provides a mechanism for volunteers to work alongside the trail crew on these complex trail projects to assist in making lasting improvements to preserve the trails for future generations. For more information about the Alum Cave Trail closure, please click here to find answers to frequently asked questions and updates on the trail restoration. For more information about the Alum Cave Trail, please click here. Great Smoky Mountains National Park announced yesterday the 39th annual Festival of Christmas Past celebration, scheduled for Saturday, December 13th, from 9:30 a.m. to 4:00 p.m. at the Sugarlands Visitor Center. The event, sponsored in cooperation with Great Smoky Mountains Association, is free to the public. "The Festival of Christmas Past is a program we look forward to every year," said Catlin Worth, Acting North District Resource Education Supervisor. "Celebrating the holiday season with traditional mountain music, storytelling, and crafts allows visitors and staff the unique opportunity to experience and preserve the Christmas traditions of the people who once called this place home"
The festival will include old-time mountain music and traditional harp singing. Demonstrations of traditional domestic skills such as the making of fabric spinning, historic toys and games, rag rugs, apple-head dolls, quilts, and apple cider will be ongoing throughout the day. There will also be several chances to experience these traditions hands-on, with crafts to make and take home. The popular Christmas Memories Walk will be held again this year at 11:00 a.m. and 2:00 p.m., to teach visitors about the spirit of the season in these mountains during the 1880s through the 1930s. 11:00 a.m. -12:30 pm and 2:00 p.m. to 3:30 p.m. - Christmas Memories Walk - Costumed interpreters will lead a short walk from the visitor center and talk about life in the mountains during the holidays in the early days of the 1880s to the 1930s. 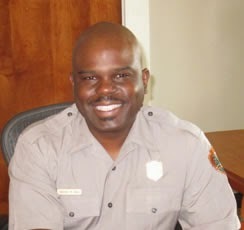 National Park Service Southeast Regional Director Stan Austin has named Cassius Cash, a native of Memphis, TN, as the new superintendent of Great Smoky Mountains National Park. Cash, currently superintendent for Boston National Historical Park and Boston African American National Historic Site, will assume his new post in February. "We are excited to have Cassius joining our Southeast Region leadership team," Austin said. "He has a great reputation as a leader and has proven his ability to effectively work with partners, stakeholders and local communities. We know that he will be an excellent steward of the Smokies, one of the crown jewels of the Southeast Region." "Cash is an outstanding addition to the senior executive leadership at the National Park Service," said National Park Service Director Jonathan B. Jarvis. "He brings a depth of land management experience with the National Park Service and the U.S. Forest Service, and his commitment to engaging local communities will support the great work that is happening at the Great Smoky Mountains National Park." "I wholeheartedly look forward to rolling up my sleeves and working with and learning from a group of dedicated employees at the park who have the privilege of and responsibility for preserving and protecting some of the most precious natural and cultural resources in the country," Cash said. "I also look forward to working with local communities, friends groups, and tribal communities on how the National Park Service can build on innovative ideas to create the next generation of stewards and supporters for this park. The timing for this is excellent because the park service will enter its second century of service to the nation when it observes its Centennial in 2016." Cash has served as superintendent at the Boston parks since 2010.While there, he worked with the City of Boston to open a new visitor center in historic Faneuil Hall. That facility now welcomes more than 5 million visitors a year. Cash also worked with several park partners to secure $4 million to reopen the African Meeting House, the oldest black church still in its original location in the country. Cash began his federal career in 1991with the U.S. Forest Service as a wildlife biologist at the Gifford Pinchot National Forest in Washington State. He went on to work with that agency for 18 years in various leadership positions. He served as an administrative officer in Nebraska, district ranger in Georgia, and a civil rights officer in Mississippi. Cash was the deputy forest supervisor at the Rogue River-Siskiyou National Forest in southern Oregon before transferring to Boston. Earlier this year, Cash served as the deputy regional director and chief of staff in the Northeast Regional Office. Cash holds a bachelor of science degree in biology from the University of Arkansas at Pine Bluff, and later attended Oregon State University to study wildlife management. Cash, his wife, Vonda and their youngest daughter plan to reside in the Gatlinburg area. Their oldest daughter is attending school in Colorado. Forty years ago, on December 3, 1974, park rangers from Great Smoky Mountains National Park rescued 15-year old Eric Johnson and a companion who had been trapped deep in the park's backcountry by a chest-deep snow storm. Yesterday, Eric's mother traveled from Johnson City to park headquarters in Gatlinburg to thank the park rangers for saving her son's life. A trip she has made every December 3rd since 1974. A Redwood National and State Parks maintenance employee unknowingly collected an improvised explosive device (IED) at an illegal dump site on state park lands on the morning of Monday, December 1st, according to the NPS Morning Report. The device was transported to the park’s Northern Operations Center, where it was quickly identified as an IED. Rangers were notified, responded and immediately evacuated employees from the facility. The entire operations center, surrounding area, and entrance road were also secured. Rangers then coordinated with personnel from the Bureau of Alcohol Tobacco and Firearms, Humboldt County Bomb Squad, Del Norte County Sheriff’s Office, NPS Fire, Crescent City Fire and Del Norte Ambulance to aid in scene containment and ensure safety. The Humboldt County Bomb Squad employed a mobile robot to render the device safe. Due to the remote location of the operations center, there was no direct threat to public safety and the area was reopened for normal operations by 6 p.m. Rangers are working with ATF agents and the incident is under active investigation. This report comes just one month after an improvised explosive device was found near a trail in the Chattahoochee River National Recreation Area in Georgia. An FBI investigation continues into that incident as well. Great Smoky Mountains National Park officials are hosting public meetings to provide information about firewood pests and forest threats. Meetings will be held on Monday, December 8 from 5:00 p.m. to 6:00 p.m.at the Oconaluftee Visitor Center Administrative Building near Cherokee, NC and on Tuesday, December 9 from 5:00 p.m. to 6:00 p.m.at the Sugarlands Visitor Center Training Room near Gatlinburg, TN. Non-native, tree-killing insects and diseases can unknowingly be introduced through firewood transported from infested areas. A variety of destructive pests lay eggs or stowaway in firewood. These insects from Asia and Europe have the potential to devastate over 30 species of hardwood trees native to the park. Movement of untreated firewood has been implicated in the spread of gypsy moth, Dutch elm disease, emerald ash borer, thousand canker disease, Asian longhorned beetle, Sirex woodwasp, golden spotted oak borer, and other native and non-native insect and disease complexes. New infestations threaten our forests with widespread tree mortality that could devastate wildlife habitat, biodiversity, and scenic views. The use of firewood that has been heat treated eliminates the threat posed by these pests through the movement and use of wood in campfires. Park officials will present information at the meetings about forest pest threats, certified heat-treated wood availability, and how the park proposes to address the threat through a new firewood regulation change. The public will have an opportunity to visit staffed information stations, ask questions, and provide comments. Park rangers have been working over the past year with numerous partners representing federal and state agencies, conservation organizations, and universities to mitigate the risks associated with movement of firewood including a public education campaign. The working team developed an informational handout that was provided to all Smokies campers throughout the summer along with providing information through public programs and regionally placed billboards. The team also identified and mapped over 80 locations near the park that provide heat-treated firewood. The park is proposing to reduce the threat of forest pests by changing park regulations to allow only heat-treated firewood to be brought into the park. If the proposal is adopted, beginning in March 2015, only firewood that is bundled and displays a certification stamp by the USDA or a state department of agriculture will be allowed for use in park campgrounds. Heat-treated wood will be available to purchase from concessioners in many of the campgrounds as well as from private businesses in the communities around the park. In addition, visitors may still collect dead and down wood in the park for campfires. National parks throughout the Appalachian region have taken action to limit the spread of insect pests in firewood including, in many cases, the banning of imported firewood. For the past three years, the Smokies has prohibited the importation of firewood from areas quarantined by the USDA Animal Plant Health Inspection Service (APHIS) in accordance with federal law. 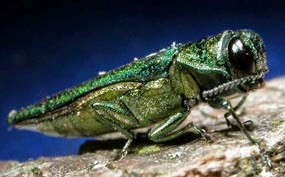 Current park regulations prohibit the importation of wood and wood products from states (or specific counties in states) quarantined for insects such as emerald ash borer or tree diseases such as thousand canker disease. A final decision on adopting the new regulation is expected by the end of the year. The public may continue to submit comments by: mail at 107 Park Headquarters Road, Gatlinburg, TN 37738; e-mail; or comment cards available at visitor centers and campgrounds. For more information about firewood and forest and insect pests in the park, please visit the park website.